PAN offers clients an advantage by being able to leverage insights and data in ways that produce favorable marketing outcomes. In today’s world, companies need access to relevant data and the means of interpreting that data to create effective marketing approaches and campaigns. PAN helps clients to find and communicate with their target market. PAN realizes that success occurs as a result of successful branding. 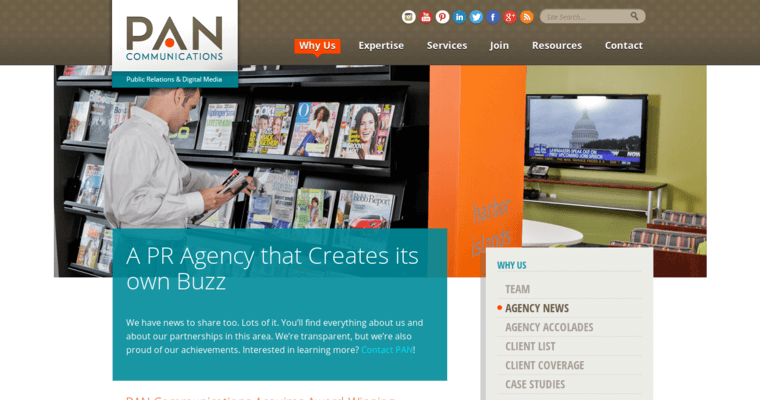 Their mission is to help clients deliver effective storytelling to their customers. 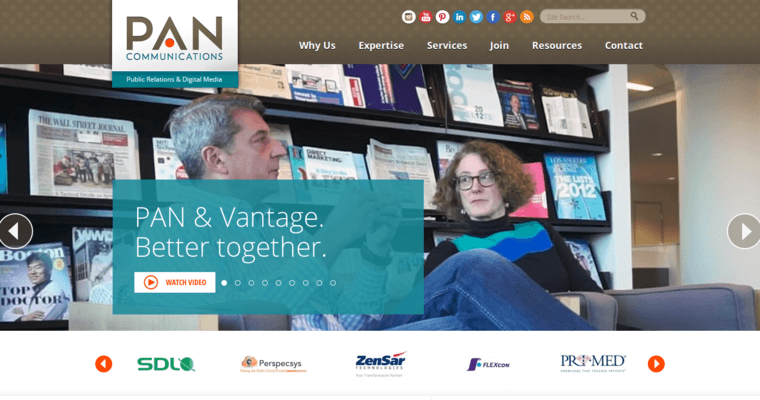 PAN approaches client success through social media, content marketing, analytics and data insights, and other creative services. 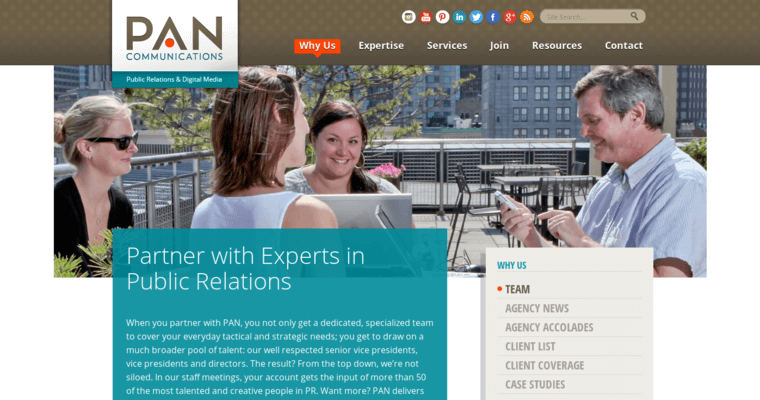 PAN’s talented team of marketers have the knowledge and skills to help clients tell a business story that resonates with their client base.